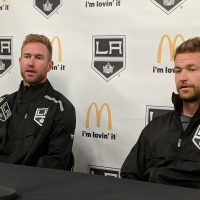 Coming into Rookie Camp the headline was clear – Tyler Toffoli vs. Brandon Kozun, which prospect would make the biggest impact? Kozun fired the first shot, being the star of the two-game Rookie Tournament against the visiting Phoenix Coyotes. Days later, Toffoli responded by scoring a goal and assisting on another one during the Kings first pre-season game. Now, considering they both were cut from camp on Sunday, we’re probably left without a definitive answer. It was announced last night that Toffoli would be heading back to his junior team, the Ottawa 67’s, to defend his OHL scoring title. The fact that he was cut so soon in camp is a little bit surprising. Just a week ago, Murray was very high on Toffoli when I asked him who had been the MVP of camp through the first few days (article here). 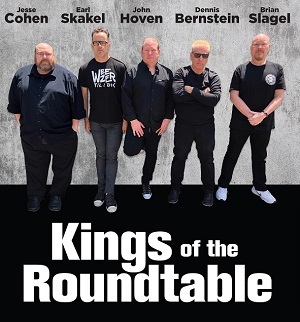 In the end though, it was going to be tough for a 19-year old kid, without any pro experience, to crack what is quickly turning into a veteran-heavy Kings line-up. 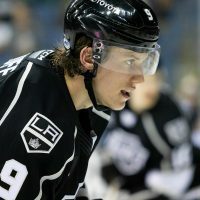 Originally selected by Los Angeles in the second round of the 2010 NHL Draft, Toffoli will now spend this season in the OHL and most likely be a featured player for Team Canada in the upcoming World Junior Championships. 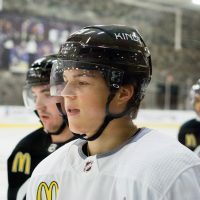 He entered camp this year as the third highest rated prospect in the Kings organization, according to the MayorsManor top ten chart – and he was tops among all forwards. 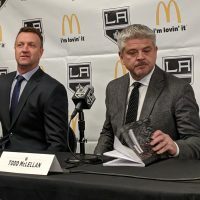 For the lighter side of life, over the weekend, Toffoli and several of the other Kings prospects gave some movie and food reviews here on MayorsManor. 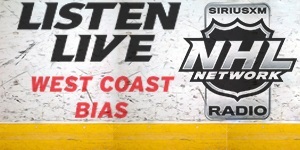 Check out that article or one of the other Toffoli-related stories below.